These days I’m starting to write so much about our Prime Ministers acting like comedians, I might as well draft a template for future reference. Seriously though, what’s with our prime ministers? Does this penchant for farce come with the post or do we just have the misfortune of being led, in recent history, by a succession of unwitting comedians? By now, everyone must have seen our PM’s ‘angry old man’ performance on Sajha Sawal – a perfect example of unscripted reality TV at its cringe inducing finest. Mercifully, the whole thing had at least one saving grace to it – it made even the most devout Congress ‘bhakts’ disappear from social media for at least a few days. In Nepal, if you are the prime minister you can get away with saying anything or in the case of Deuba, not saying anything at all. ‘You say it best when you say nothing at all’ must be one of one of his all-time favorite songs. Previously, we had KP Oli with his folksy ‘village chautari’ comedy, Prachanda with his ‘property declaration’ and now SBD with this performance. In all fairness to Deuba, the manner in which some of the questions were posed did really push the envelope in terms of propriety, bearing in mind they were being addressed to the PM of the country but the petulance and anger that followed wasn’t in keeping with the dignity of his office. Actually, our PM probably reasoned that the particular post has no dignity seeing as its occupancy can be bartered, leveraged, and negotiated with both domestic parties and foreign interests. And since we have had a thousand prime ministers in the last decade, who really has the time to be concerned with dignity of office? 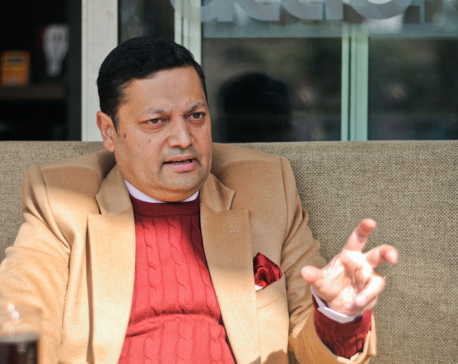 We have often heard the phrase ‘People shouldn’t be afraid of their government, governments should be afraid of their people.’ In Nepal, we have known for quite some time that it is the opposite and this was on full display in our PM’s demeanor – a mixture of arrogance and cluelessness. If you thought this was a man concerned with redeeming himself and his legacy, this performance ought to make you think again. 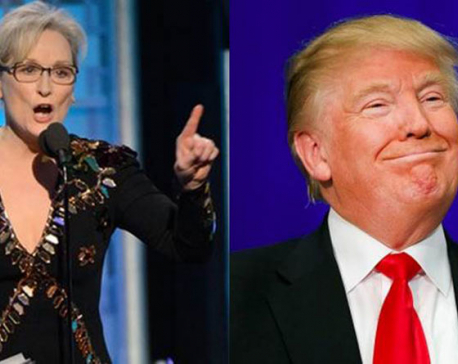 It really is clutching at straws to trump his willingness (as some party supporters have done) to appear on a TV show as a sign of his bravery or accountability to the people. If so, why wasn’t he prepared for it? 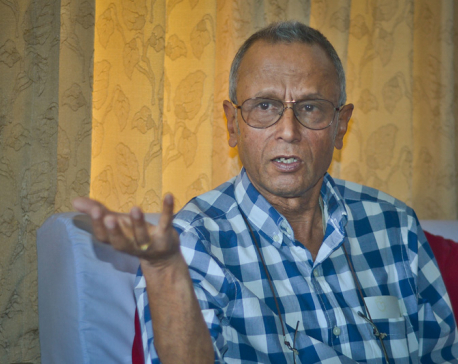 If you come on a question and answers show like that, as a politician, you are going to get brickbats irrespective of who you are, more so, if you are someone who polarizes opinions as much as Deuba does. What the point of coming on National TV and not making the effort to be briefed on issues, clarifying your stance or even bothering to understand and answer questions properly? It was ironical that one of his many retorts harped on his democratic legitimacy while he was in the process of making a mockery of two of its equally important pillars– transparency and accountability. Also, there is no point of having press advisors, economic advisers and other pointless advisers that the taxpayer pays for when our PM is content to look like a halfwit on national TV. And it isn’t just Deuba, many of our ministers are clueless despite having a coterie of these questionable ‘advisers’ aka cronies. Many institutions or organizations that have ever asked a minister to attend or speak at a function will often find themselves writing his/her speech, in effect doing the work of their staff. You literally spoon-feed them what they have to say. Is it any surprise then that when they find themselves having to improvise or answer off the cuff, this bumbling incoherence is what we get? Anyway, back to the show. It was not all about refusals to answer because in between the two extremes of silence and angry retorts he did manage a few answers. He talked about neutrality in judicial process and how his party never indulges in promoting nepotism or cronyism in public sector appointments. It was all a bit rich and frankly Prachanda banging on about human rights was easier to swallow than this tripe. 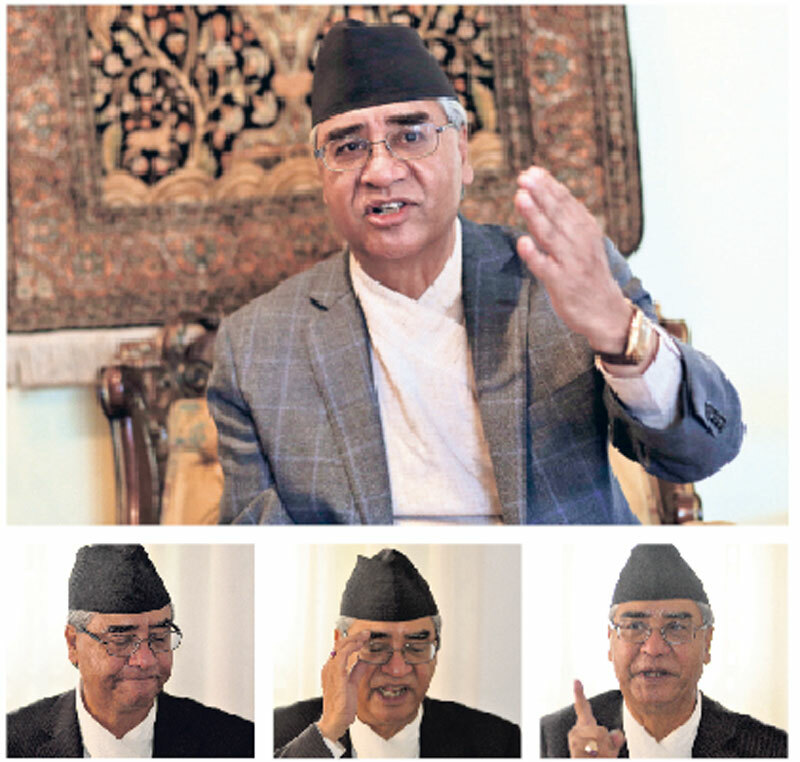 For all the jokes about Deuba on the internet – and there are some absolute gems out there – the sad thing is that we actually think we are having a laugh at his expense. Despite being accused of sacrificing national interests for political expediency, brazen efforts at subverting public sector integrity to suit his own needs and offering the country nothing in terms of development, we will continue to vote for him and his party. What he genuinely has is a flair for political survival and it’s not of much use to our country at this juncture. They say a nation gets the leaders it deserves. Maybe these jokers are what we deserve. But in between the fits of laughter, take a closer look and you will find that the joke, my friends, really is on all of us.